Over the past several years, we have written extensively about employers’ obligations to make their websites accessible for individuals with visual, hearing and physical impairments. In the past, we have counseled employers who are considered a “place of public accommodation” (such as a hotel, restaurant, place of recreation, doctor’s office, etc.) to at the very least do some due diligence to determine whether their websites are accessible for disabled users, so that those individuals can use and navigate those websites and/or purchase goods sold on the websites. (For more information about the developing law on this issue, check out our prior posts here and here.) Now, for the first time, a U.S. Court of Appeals has ruled on this issue and has confirmed that so long as there is a “nexus” between a company’s website and a physical location (which is typically the case), a company must make its website accessible or risk significant legal exposure for violating the Americans with Disabilities Act (“ADA”). (As a reminder, although not the subject of this blog post, we have also written about a second consideration here regarding website accessibility that applies only to hotels and other places of lodging and currently is the subject of a tremendous amount of litigation. Specifically, the implementing regulations of Title III of the ADA require a hotel’s website to provide information regarding various accessibility features at its property, so that a mobility impaired individual can determine whether he or she can navigate the public areas and guestrooms at the property.). OSHA guidance states that “if an employee can perform their job functions in a manner which does not pose a safety hazard to themselves or others, the fact they have a disability is irrelevant.” Although OSHA portrays this policy as straightforward, in practice, it can be difficult to determine when and how to accommodate a disability under the Americans with Disabilities Act (“ADA”), while also protecting the safety of the disabled employee and his or her co-workers. This assessment can be further complicated when the employer is unaware a disability may cause or contribute to a workplace safety issue. The importance of understanding the laws at play in this context has increased, and will continue to increase significantly, due to the aging workforce, and the unique challenges these types of workers may face. The ADA also requires that medical information related to a disability be kept confidential, yet OSHA mandates certain information be provided when recording injuries and illnesses for OSHA Recordkeeping. 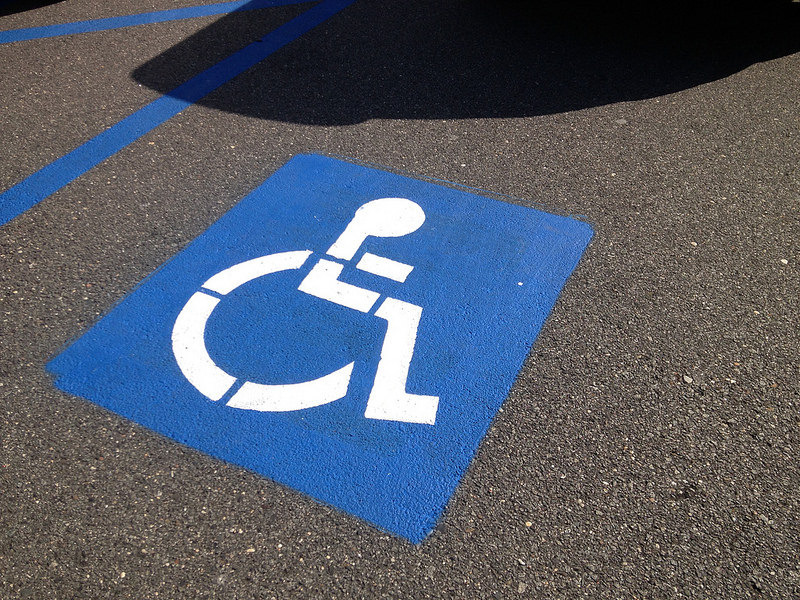 A disability may also impact whether and how an injury is recorded. Therefore, it is critical for employers to understand the intersection between the ADA and OSHA. On December 12, 2016, the EEOC issued a resource document, titled “Depression, PTSD, & Other Mental Health Conditions in the Workplace: Your Legal Rights,” reminding employers of workplace rights for employees and applicants with mental health conditions and clarifying the protections afforded by the Americans with Disabilities Act (“ADA”). Employers should carefully review the resource document given the rise of discrimination complaints based on mental health conditions. During fiscal year 2016 alone, the EEOC resolved almost 5,000 charges of discrimination based on mental health conditions. The EEOC has taken a hard stance on employers’ duties to provide reasonable accommodations for employees with mental health conditions, especially in light of the number of veterans who have returned home with service-connected mental health issues, such as depression and post-traumatic stress disorder. Under the ADA, job applicants and employees with mental health conditions are protected from employment discrimination and harassment based on their mental health condition, and may have a right to a reasonable accommodation at work. Many employers are aware of different types of accommodations for people with physical and communication disabilities, but are generally less familiar with accommodations for individuals with disabilities that are not visible, such as mental health conditions. Over the last few years, increasing numbers of employers have expressed a desire and need for information and ideas on accommodations for individuals with psychiatric disabilities. The resource document, although framed for employees or applicants seeking assistance, describes some types of the available accommodations, and addresses restrictions on employer access to medical information, confidentiality, and the role of the EEOC in enforcing the rights of people with disabilities. Under the ADA and other laws, including the Family Medical Leave Act (“FMLA”), it is illegal to discriminate against an employee or applicant because he or she has a mental health condition. This includes firing an employee, rejecting an employee for a job or promotion, and forcing an employee to take leave because of his or her mental impairment, which includes “[a]ny mental or psychological disorder, such as . . . emotional or mental illness.” Some examples of “mental or psychological disorders” include major depression, bipolar disorder, anxiety disorders (which include panic disorder, obsessive compulsive disorder, and post-traumatic stress disorder), schizophrenia, and personality disorders. Title I of the ADA requires a private employer with 15 or more employees to provide a reasonable accommodation qualified individuals who are employees or applicants for employment, unless to do so would cause undue hardship. Reasonable accommodations are adjustments to a work setting that make it possible for qualified employees with disabilities to perform the essential functions of their jobs. To be eligible for a reasonable accommodation for any mental health condition, an individual must demonstrate that his or her mental health condition would, if left untreated, “substantially limit” his or her ability to concentrate, interact with others, communicate, eat, sleep, care for them self, regulate his or her thoughts or emotions, or do any other “major life activity.” The EEOC highlighted that the fleeting nature of the presence or severity of a mental health condition symptoms is irrelevant to evaluating whether a mental health condition is substantially limiting. What matters is how limiting the symptoms are when they are present. Although the resource document provides a few mental health conditions that it believes should easily qualify as substantially limiting, including major depression, post-traumatic stress disorder, bipolar disorder, schizophrenia, and obsessive compulsive disorder. If an individual eligible for a reasonable accommodation, the ADA requires employers to engage in an interactive process to determine what, if any, reasonable accommodation can be made by analyzing the purpose and essential functions of the job, and working with an individual to identify what barriers exist to that individual’s performance of a particular job. After engaging in the interactive process, employers can evaluate the effectiveness of each accommodation and the preference of the individual to be accommodated, and then determine whether the various accommodations would pose an undue hardship upon the employer. The resource document provides a non-exhaustive list of potential reasonable accommodations for employees or applicants with a mental health condition, including altered break and work schedules; quiet office space or devices that create a quiet work environment; changes in supervisor methods; specific shift assignments; and permission to work from home. The Department of Labor Office of Disability Employment Policy has also issued detailed guidance with further information on reasonable accommodations that have helped employees and applicants with mental conditions. While employers must engage in the interactive process to find a reasonable accommodation for an individual, the guidance document recognizes an employer does not have to hire or keep people in jobs that they cannot perform, or employ people who pose a “direct threat” to safety – (i.e. a significant risk of substantial harm to self or others). However, an employer cannot rely on myths or stereotypes about a person’s mental health condition when deciding whether an individual can perform a job or poses a significant safety risk. There must be objective evidence that an individual cannot perform the essential job duties, or that he or she would create significant safety risk, even with a reasonable accommodation. On the job, when there is objective evidence that an employee may be unable to do the job or that the individual poses a safety risk because of his or her condition. Other laws may also require an employee to discuss his or her condition to establish eligibility for benefits under those laws, such as the FMLA. However, an employee does not necessarily have to disclose his or her specific diagnosis. Even if an individual is required to disclose his or her medical condition under one of the situations above, it may be enough to describe the condition generally (e.g., anxiety disorder) and, if requested, submit documentation from a medical provider to that effect. Given the increasing focus on mental health conditions in the workplace, employers should be up to speed of the ADA’s requirements. If an employer knows that an employee has a mental health condition, the employer’s knowledge and observation of an employee’s symptoms could trigger the employer’s duty to provide an accommodation or determine whether a reasonable accommodation exists. Employers can address this issue within their employee handbooks by establishing policies that advise employees of their rights with respect to mental health conditions impacting their work performance and to have an open dialogue, specifically, and encourage employees to notify their employers if they believe they have a mental health issue. As many followers of this blog are aware, a significant portion of our practice focuses on defending businesses against lawsuits alleging violations Title III of the Americans with Disabilities Act (“ADA”), which prohibits discrimination against individuals on the basis of disability with regard to their participation and equal enjoyment in places of public accommodation, such as hotels, spas, stores, restaurants, and gyms. Title III issues have become increasingly important the last few years with the substantial increase in the number “drive-by” plaintiffs, individuals who often allege violations and commence litigation against businesses without even stepping foot on their property. Many of these plaintiffs have filed tens or even hundreds of such lawsuits in various states, costing employers substantial sums of money in both renovation costs and attorneys’ fees. As a result of these perceived abusive litigation tactics, Representatives Ted Poe (R-TX), Doug Collins (R-GA) and David Jolly (R-FL) recently introduced “The ADA Education and Reform Act of 2015.” If signed into law, the bill would curb abusive ADA lawsuits by implementing clear, unambiguous rules for identifying and correcting ADA access violations prior to permitting a plaintiff to commence litigation. Specifically, the measure would require a disabled individual who has encountered barriers to access to provide specific details about the purported denial of access, including the specific sections of the ADA that were violated and whether the barrier to access was temporary or permanent. The bill also provides the employer with a cure period in which it would have the opportunity to set forth a written description of improvements to remove the barrier, and then implement the improvements. If a business fails to correct an identified ADA violation during this cure period, then the aggrieved individual would still have right to seek legal recourse. Notably, the bill also instructs the U.S. Judicial Conference, in conjunction with property owners and representatives of the disability rights community, to develop a model program to promote the use of alternative dispute resolution to resolve potential claims, with the purpose of alleviating costly litigation and/or lengthy, drawn-out settlement negotiations between the parties. While employers would undoubtedly welcome the passage of the bill, as it would create disincentives for filing frivolous ADA lawsuits, it is unlikely that it will garner enough bi-partisan support to be enacted into law. The simple introduction of this bill, however, is a positive sign for employers, and should, at the very least, increase general awareness regarding serial plaintiffs and abusive litigation practices. We will keep you apprised of further developments as they become available.